Valentine’s Day is fast approaching! This may be a hard day to get trough if you are single and even harder if you are single and newly sober. When I was in my early sobriety I was very lonely. By the end of my drinking I had alienated all my friends and there was no one left that would put up with my drinking. I was broken and in pain, and even if I had someone special in my life I was not capable of actually loving them. I also had no idea of how to care for myself or be good to myself, much less even to love myself. My drinking induced behavior left me ashamed and with a hugely skewed self-esteem. I had so many negative feelings about me that I felt that I was just too broken and that I did not deserve anything better. I believed that there was no one in the world that could ever love me. One day, I met an elderly woman in a 12-step meeting. She told me that I needed to really learn how to love myself – truly, deeply take the time to get to know me and love me. She said this was a crucial part of recovery and life! After all we are the most important in our lives and if we do not take good care of us, we really cannot be any good to others. It is a simple idea but often quite hard to do. She told be to do this exercise every morning – stand in front of a mirror and pick one thing that I liked about myself. Of course back than, I could not think of one damn thing! I remember standing in front of the mirror thinking how stupid this was! I still remember what my first thing that I liked about myself was – it was my toes, because they are each perfectly shorter than the next. I did not like this exercise but I kept doing it because I had some hope that this could really help! Stop telling yourself negative stuff. Things such as “I am such a mess.” or “I am just a bad person”, do not help you! Instead, choose to tell yourself a different, more self-respectful story whenever the negative voice raises its noise level. Tell yourself helpful things, such as “I am a good person”, “I am a worthy person” or “I am getting better and I want to continue to stay sober”. In the beginning you may be very reluctant to say these things, and it might feel very uncomfortable since you may be so used to the negative talk. BUT. Give it a chance and after a while it will become second nature – remember: all you have to do is believe just a little and your self-esteem will grow! Make peace with yourself. You may have made many bad decisions during your active addiction, but instead of beating yourself up about them, use these experiences as lessons to build on. These lessons will let you become the better person you have always wanted to be. Instead of telling yourself that you just cannot forgive yourself, remind yourself that you would have done better if you knew how and if you were not in the midst of your addiction. Give yourself a break and make peace with that part of you that can sometimes be way too rough on YOU. Speak to yourself as if you were your best friend. Do you speak to yourself in a way that you would never dare speak to a friend? If so, this is extremely telling about how much you are belittling yourself! This is no way to treat you! Instead of scolding yourself as an angry parent might berate a child all the time (and perhaps this is precisely how your mind has taken to viewing yourself), start to talk to yourself as you would do to a friend you care a whole great deal about. Use kind words toward yourself, such as “I am doing so good staying sober another day.” and “I have made a huge progress.” These words will help you, encourage you and allow you to treat and see yourself in a valued and caring way. 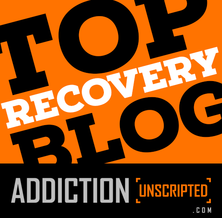 I also think that the most important thing to remember is that recovery is a difficult road but it gets much better. Even a little gratitude for who you are becoming right now can make a huge difference in your perspective on life. So use the pain, frustration and inconvenience to motivate you. You are in control of the way you look at life. You are also in charge of who you surround yourself with. At this time, it might be beneficial to distance yourself from those who bring you down. Being in no relationship is better than being in a wrong one. Know your worth! When you give yourself to those who disrespect you, you lose. Your friends in life should motivate, inspire and respect you. Your circle should be well rounded and supportive. Keep it tight. Quality over quantity, always. Caring for yourself includes doing all the things you care about, and this may also feel uncomfortable in the beginning, but really it is a matter of realizing that there is nothing selfish about self-care. So spend this day taking care of yourself! After all you really are worth it – you have gone through the wringer and treated yourself badly in active addiction. It is now time to finally be good to YOU!! This might sound bizarre, but I think of myself as a soft kitten. I need gentleness, love and tenderness. Yelling would be counterproductive, as would rules and expectations. I just need love and maybe some treats! When I do this i realize so many things I consider doing are actually not in my best interest. They are approval seeking or attempts to prove myself to someone. Love it. Thank you for this great comment. We all need love and I think loving ourselves is super important. When I was drinking I did so much damage to myself. 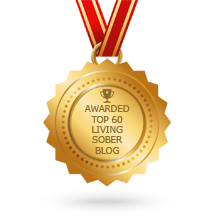 In sobriety I want to take good care of me!